Human geography lecturer Ndumiso Ngidi’s passion for social justice education and transformative education has been largely influenced by specific experiences and events in his life. Losing his mother to a heart condition when he was just 12 months old, and his father to an HIV-related illness when he was seven, Ngidi grew up an orphan, separated from his siblings and raised by various relatives and neighbours. During this time, Ngidi experienced much abuse and neglect, including being raped by a family friend. These traumas sparked an interest in reading and education. Throughout his schooling, Ngidi felt there was a mismatch between what was taught and his life experiences, and it was only in his second year of university that he experienced a breakthrough in his learning. 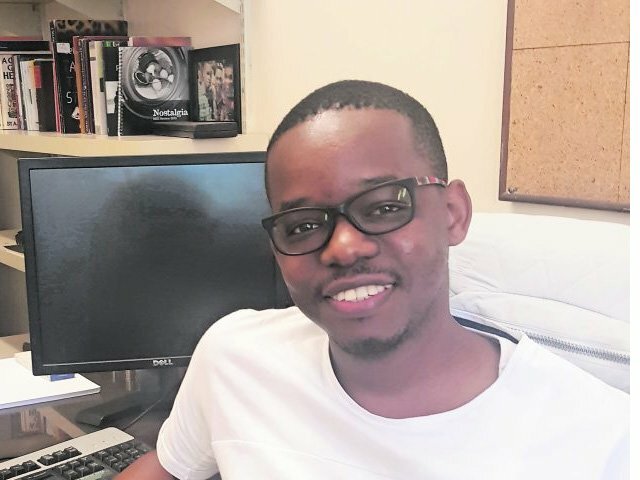 Ngidi began his work within the field of HIV and gender-based violence, working with groups of secondary school learners and university students. He developed innovative methodologies for teaching and learning, as well as research that relied on the collaborative contributions by him and his students, whom he regards as co-educators. He also works with township and rural communities, and particularly with vulnerable learners, trying to understand and address social injustices to which young people are exposed. “I consider myself a transformative educator and visual researcher. I believe in teaching that fosters collaborative learning and empowers students to think creatively and critically. My teaching is rooted in participatory methodologies, encouraging students to be critical thinkers, participatory and active learners, and to seek alternative possibilities. In my teaching methods I have designed programmes that focus on creating safe spaces where students’ beliefs, experiences and attitudes are not only validated but further re-evaluated.